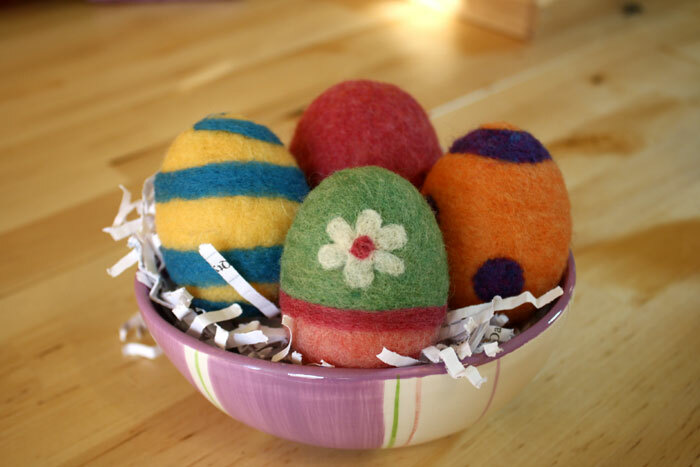 Needle Felting Easter Eggs – Fun & Easy Free Felting Tutorial – LIVING FELT Blog! this quick and easy tutorial. 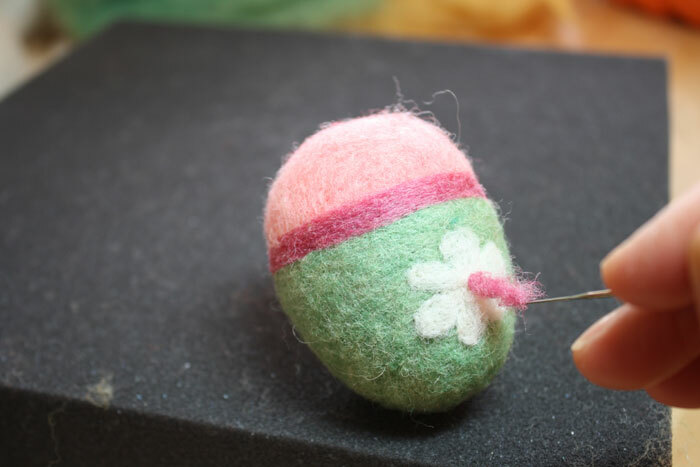 This is 2nd in a series of 3 needle felting Easter tutorials. 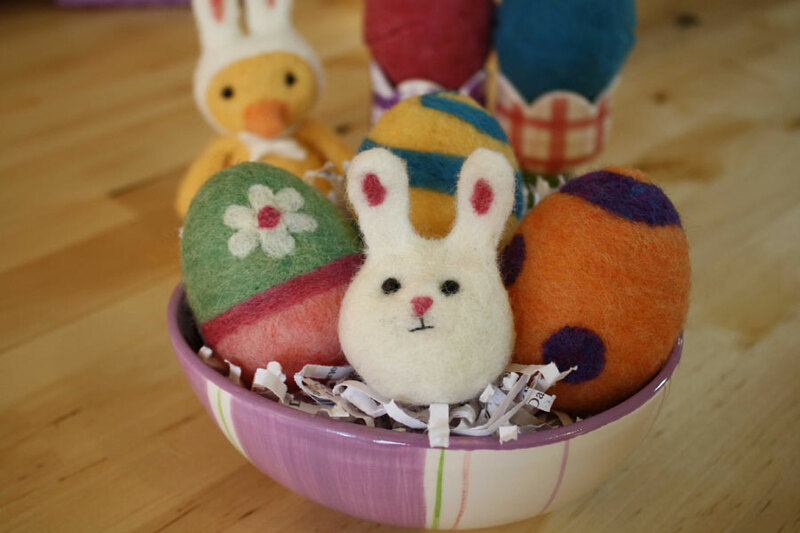 Previously we made “Dot”, our fun little bunny ball. 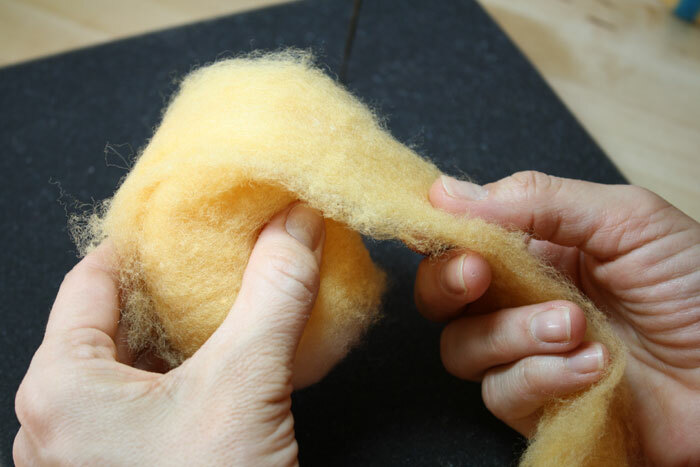 For this project, we used Living Felt Brand CW-1 Core Wool, and MC-1 Merino-Cross Batts. 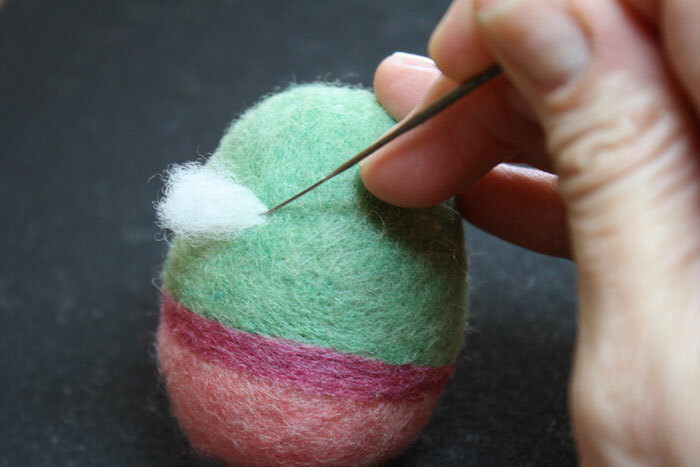 First start by needle felting your egg shapes out of core wool. to save this picture and share it with a friend! of your egg with the final edges overlapping slightly. white wool underneath should be covered. 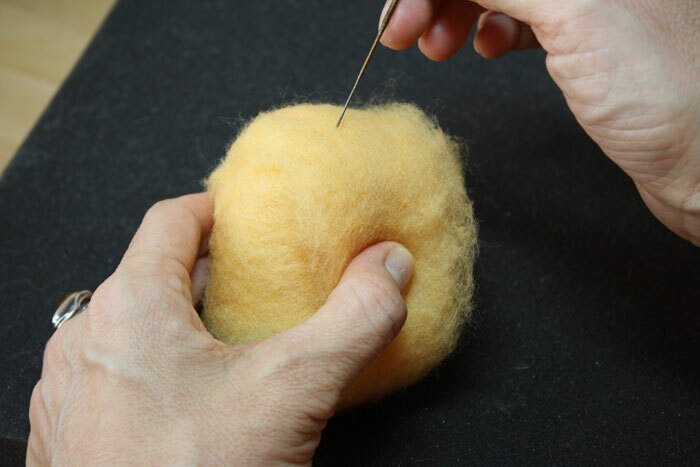 needle felting until the surface is very smooth and evenly felted. You don’t want it to look bumpy. 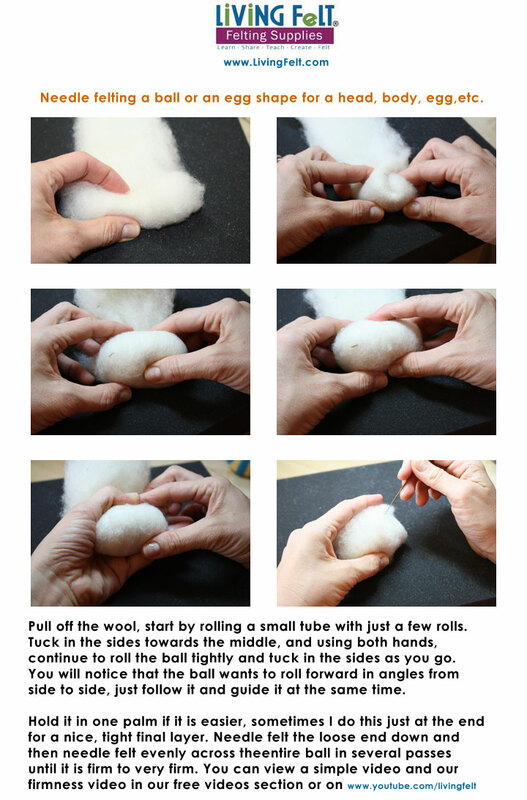 For spirals and lines try this: Pull off a long, thin (but even) strip of wool and roll it into a tube by rolling it on your foam or even on your pantleg. Make sure it is an even thickness from end to end. 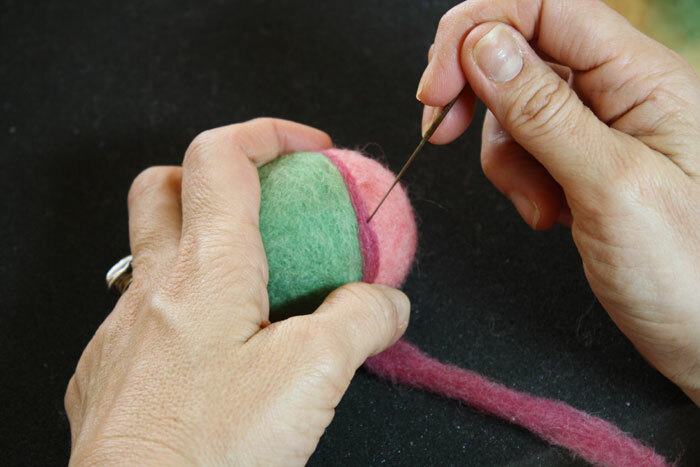 with your felting needle towards the middle of the line. because the fibers from petal to petal will get entangled. lightly needle felt it right in the center. 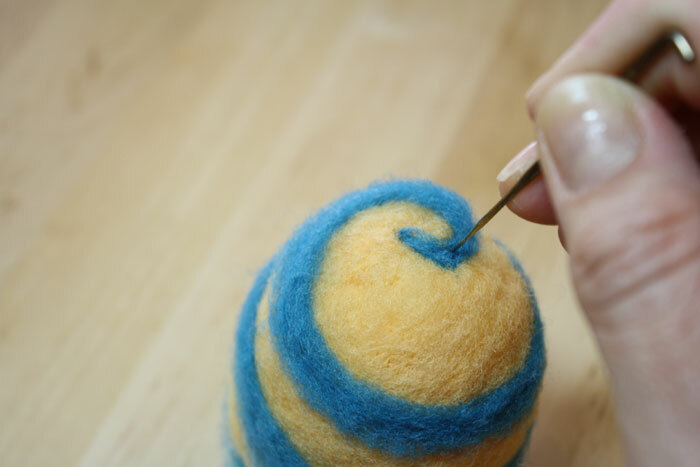 Next, gather the loose fibers by twirling them onto your felting needle. way to make circles and dots! Use the same line technique above to make spirals. That’s it! 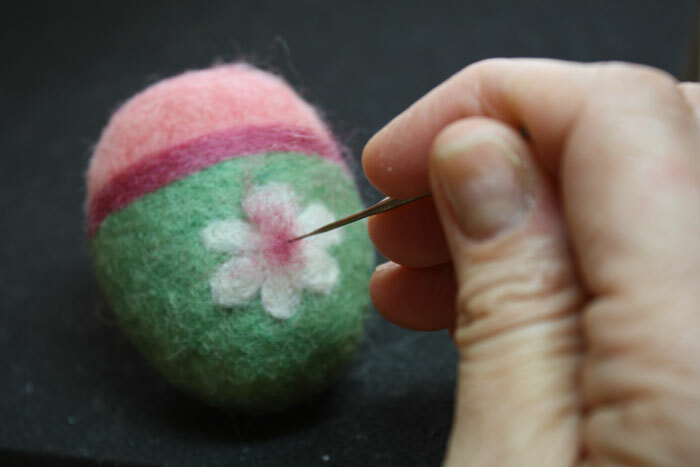 Needle felting so easy once you learn a few basic techniques! If its not new to you, we hope you will share with and teach someone else! Thanks so much for posting this and sharing! Your steps and pictures make it so easy! Thank you. Great lesson and fun and complete. 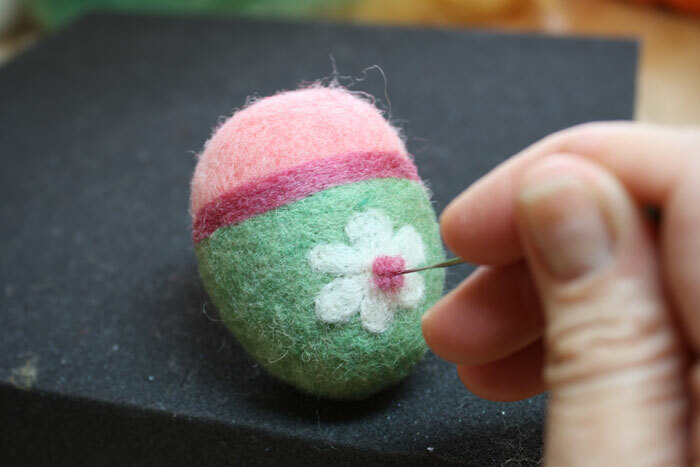 Just looked through your egg demo, have just started dry needle felting and have made flat flowers, have never made a 3D shape but now am eager to get going now I know how. 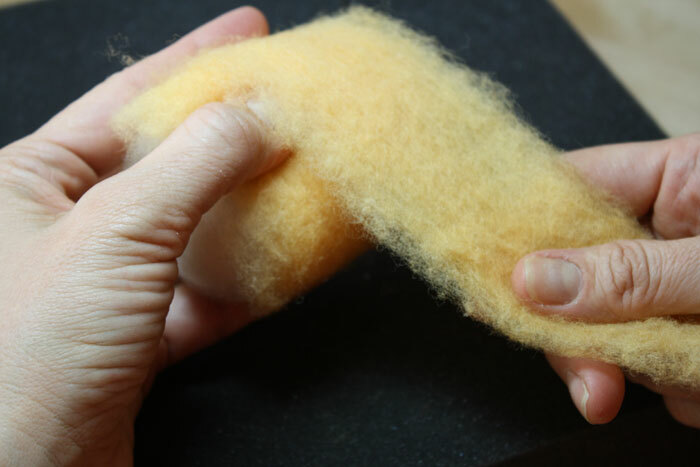 Also bought a felting machine and need to get used to the different finish it seems to give compared to the multi needle hand tool I have been using (though it does save my arms from aching!!) he he. I live in Birmingham, England are you able to put me in touch with anyone local to me to give me some confidence and inspiration/courage as I don’t want to waste too much the Marino wool I have. 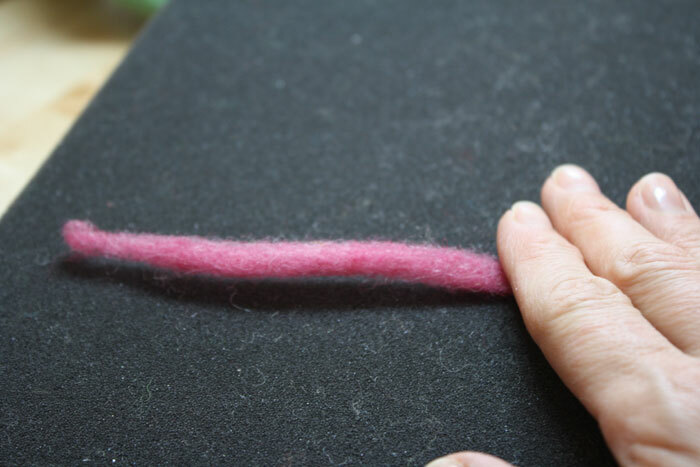 I have been using synthetic made felt at the moment because it is cheaper to practice with . Thank you! I just made Dot. That’s my first needle-felted piece and I really enjoyed it. The friction and the ease of shaping was really encouraging. I went to my town’s annual art fair, Art On The Rocks, and there was a booth of felted purses/ rocks/ wall art etc. The framed wet-felted landscapes were what really appealed to me. So, after 6 days of studying on the net, $20, one botched wet-felt and one finger poke, I finished Dot today. Thank you for the easy and encouraging tutorial. Really: thanks. Hi Iny, We are so glad you have fun making Dot! We’d love to see a photo, and congratulations on your newly found craft!